One of the biggest things I have realized through reading more about habits is that you cannot ditch one habit without filling that space with something else. A good habit needs to replace a bad habit. Over the next few days I want to share some habits I want to add to my life in the spaces as I purge bad habits more and more. 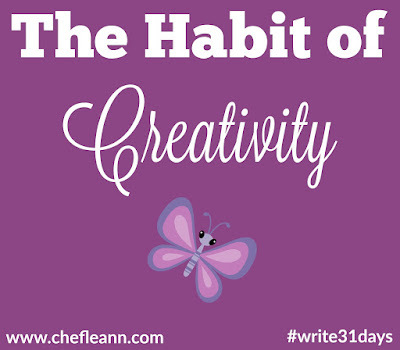 Today, I want to examine the habit of creativity with you. First of all, I don't believe some people are born with more or less potential for creativity than anyone else. I think it is something that is nurtured much more than nature. How we raise our children and the kind of example we give them teaches them the importance we place on creativity in our lives and in our homes. Everyone can have creative outlets and stretch themselves in this realm more. When we encourage reading, provide lots of print materials, read in front of our children and to our children it raises the likelihood that they will be readers and that they will love books. When we play music, have instruments in the home, sing together as we work and play, children learn that this is a normal part of life. When we provide opportunities to play, take lessons, encourage and provide time to practice then they will most likely become musical. My SIL always has lots of things around the home for "art projects" for her kids. Her mother provided that for her. She studied art in college and has some amazing stuff she has produced over the years. Her mother has painted and done calligraphy for as long as I have known her. Now, my SIL's daughters are all artistic, too. If you want creative children then provide creative things for them to do. As an adult, I want to find that creative child again. I want to play my flute and piano again. I want to work on crochet and sewing projects. I want to pick my calligraphy pens back up and try my hand at some drawing projects. I want to take my camera out and just photograph things more... maybe even take a photography class. 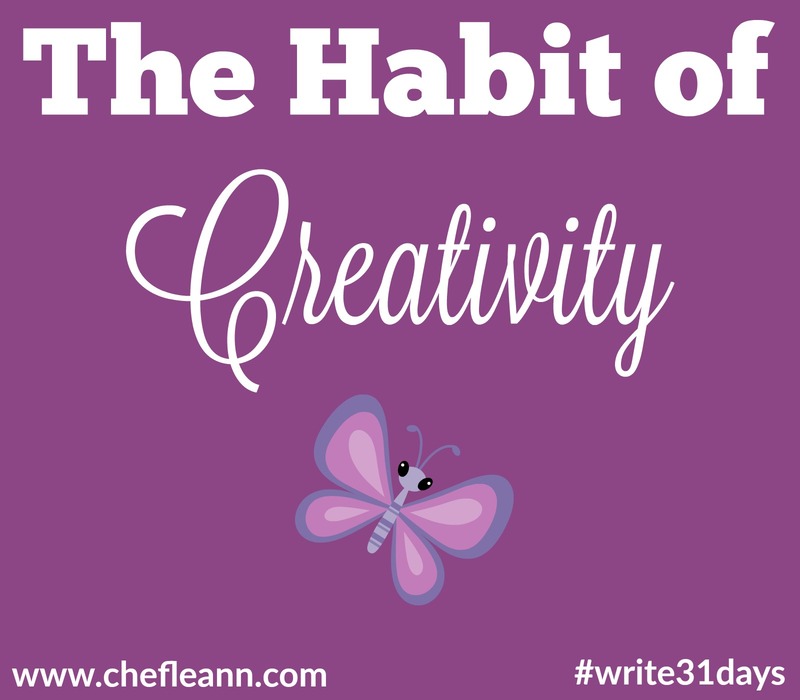 I want to replace the unproductive parts of my day with creative habits. This is still very much in progress for me so I have listed three great articles I am contemplating and a book on the subject I will be exploring. A dancer (Twyla Tharp) talks about the habit of creativity and how that plays out in life. Cannot wait to dive in! I will let you know what I think. Interesting little tidbit about me.. 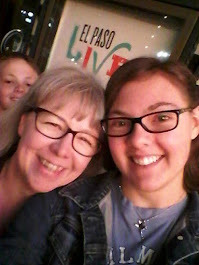 I took dance lessons from about age 3 until I was heading into high school and I took twirling lessons from middle school through high school. I have done aerobics for decades and trained and taught aerobics for some time in my 30's before baby #3. So, dance and movement to music is a thing with me... LOL I love the discipline of dance. I do Pilates now and that is connected to ballet. It became very popular in the 1960's in ballet circles as part of their routine to keep them in shape and train their core. So, now it is your turn... do you have a creative habit you want to explore more? Do you incorporate some form of creativity into your days? If you could learn one skill you have never tried before what would it be?